Tenth Muse Productions (formerly Montmiral Productions) was formed in 2007 with a view to staging plays, both old and new, where music is an integral part of the story-telling process. To this end, the inaugural show was a new play called The Mozart Story which charted Mozart's life right from his first composition through to his premature death and featured over fifty of his compositions that were played and sung live. The production received its premiere at The Rhoda McGaw Studio, Ambassadors Theatre, Woking. Following this, a new translation of Thérèse Raquin by Emile Zola was commissioned from the Zola scholar Pauline McLynn and staged at The Riverside Studios. The production was inspired by, and interwoven with, Erik Satie’s Gnossiennes piano compositions. More recently, a new play Tarantella received its premiere at The Omnibus Theatre, London in September 2016. Set in Little Italy, New York - the story revolves around three generations of a musical immigrant family who originate from Sicily. Tarantella is being scheduled for a second run in 2019. Currently, a new adult version of Beauty & The Beast is being developed which will be staged at The Omnibus Theatre, London in July 2018. Tenth Muse is also branching into Film with two Shorts currently in development. 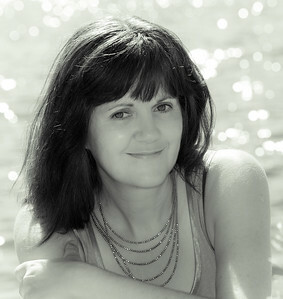 Elizabeth works variously as a writer, director and producer. For Tenth Muse, she wrote and directed Tarantella and The Mozart Story and directed Thérèse Raquin. 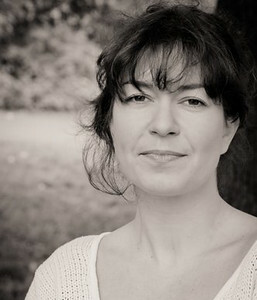 As a Freelance Director, Elizabeth directed the following on the London and Edinburgh Fringe: Christopher Hampton’s Dangerous Liaisons, Tennessee Williams’ Spring Storm, Brecht's The Caucasian Chalk Circle, Shakespeare’s A Midsummer Night’s Dream, Brian Friel’s Dancing at Lughnasa and Ibsen’s A Doll’s House and she both adapted and directed Kenneth Grahame’s The Wind in The Willows and Homer’s Odysseus and The Sirens. Elizabeth was a founder member of The Aardvark Theatre Company producing and appearing in Sarah Daniels’ Masterpieces and Jean Genet’s The Maids which were both performed in London and Edinburgh. She was also an original member of The Bold and Saucy Theatre Company playing eight lead roles in open-air Shakespearean productions in London and Oxford. She is currently developing Beauty and The Beast and writing two short films set in The Second World War: La Veuve Anglaise and Der Schal both of which she will direct. 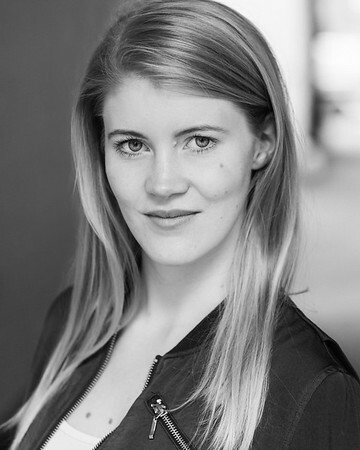 Karen grew up in both Iceland and the UK and she completed her BA in acting and directing at The Kogan Academy of Dramatic Art in 2015. During her time at The Academy, she directed Rabbit Hole by David Lindsay-Abaire and she both adapted and directed Roald Dahl's A Fine Son and Chekhov's Short Story Gone Astray. For Sofa Productions, she produced the children's show Once Upon a Time at The Brighton Fringe Festival in 2015. In 2016, she produced three shows at The Camden Fringe Festival: Fright Nights, Extremities and From Russia with Laugh. She also produced and played the leading role in Extremities at The Brighton Fringe Festival in the same year. Karen is co-producing Beauty & The Beast. Raj trained as an actor and director at The Kogan Academy of Dramatic Art in London, where he directed Extremities by William Mastrosimone before graduating in 2015. He went on to produce three shows for Sofa Productions at the Camden Fringe Festival in 2016. This included directing From Russia with Laugh a triple bill of Chekhov comedy stories, and acting in Fright Nights, a gruesome retelling of four horror stories. 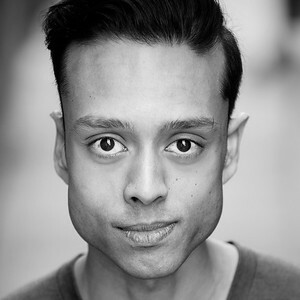 Acting credits include advertisements for Subway and BetVictor, and performing as Orlando in Shakespeare’s As You Like It at The Putney Arts Theatre. Raj is co-producing Beauty & The Beast . Valia is a Greek producer based in Norway. In 2013 she founded Komet Film, a film production company based in West Norway. As a freelance producer, Valia was involved in several Theatre and Film productions in London. For Tenth Muse, Valia produced Thérèse Raquin and Tarantella. She has also produced the award-winning Short Film Stagnation and You've Made Your Bed, Now Lie in it. Valia has several film projects in development and she will be directing her first Short in 2018. 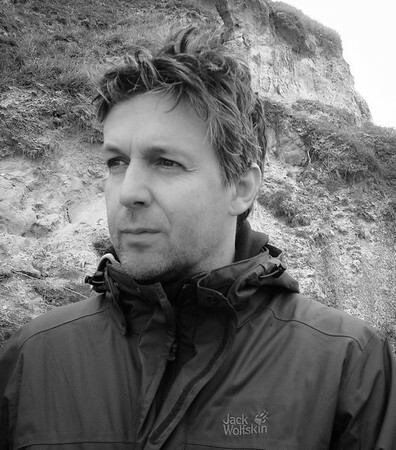 Alexander is an award winning Norwegian director who started his career as an actor. 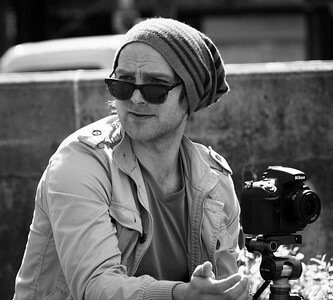 Alexander has directed several shorts, music videos and commercials. In 2015, he directed Stagnation that won the best short film award at The Los Angeles Greek Film Festival and was screened at numerous other International Film Festivals. You've Made Your Bed, Now Lie in it is his latest short film. Alexander is currently working as a commercial director for the Norwegian production company Rollo Tomasi. He also has two features in development. Alexander directed the promotional video for Tarantella. Matt co-founded Tenth Muse Productions and he produced and performed in both The Mozart Story and Thérèse Raquin. Matt then hung up his acting hat and went on to become a professional landscape and cityscape photographer. Matt was Executive Producer for Tarantella.